Working on a directory site for the travel industry? 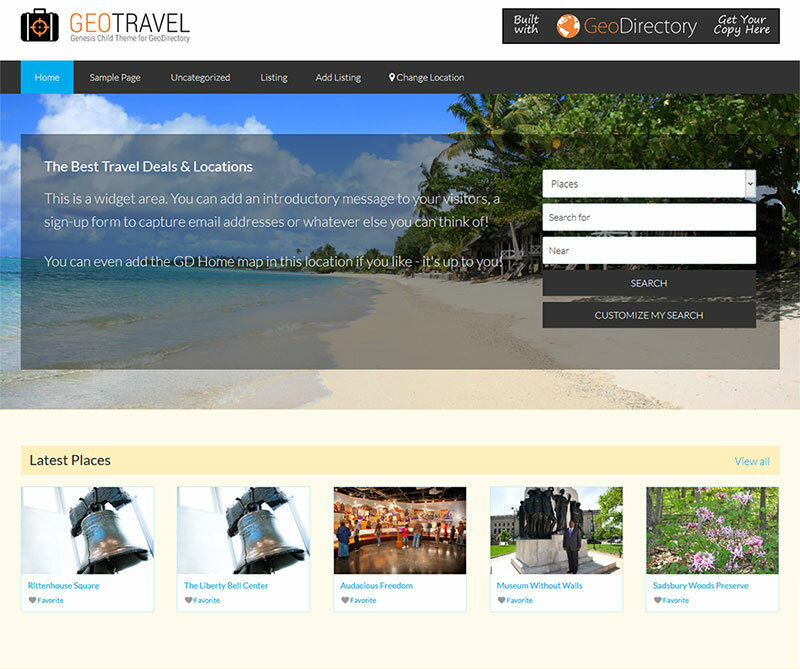 Start with GeoTravel, the first niche-oriented child theme powered by the GeoDirectory plugin. GeoTravel is a child theme for the Genesis framework, with a bold, modern feel.